Led by the performance of its jewellery segment, the Watches & Jewelry business group of the Company reported a 9% increase and an organic revenue growth of 4% for Q1 2019. Revenue of the division for the period amounted to €1,046 million; as compared to a revenue of €959 million earned in Q1 2018. Within the jewellery segment, Bvlgari “made strong progress” in its own stores, LVMH noted, driven by its iconic lines Serpenti, Divas’Dream, Lvcea and its new Fiorever collection. Other developments included Chaumet’s introduction of its new Liens Evidence creations in gold and diamonds; the opening of a pop-up store in the Saint-Germain quarter in Paris, while its historic store in Place Vendôme has been put under renovation. “The innovative products presented by LVMH’s watch brands at the Baselworld Watch & Jewelry Fair were very well received, including Hublot’s Classic Fusion Ferrari GT watch, Bvlgari’s Serpenti Seduttori and Octo Finissimo Chronograph GMT Automatic watches, TAG Heuer’s connected watch model for golfers, and Zenith’s new Defy Inventor and Defy El Primero 21 Carbon models,” LVMH summed up. The Company’s largest segment remained the Fashion & Leather Goods business group with a revenue of €5,111 million earned for Q1 2019, as compared to a revenue of €4,270 million reported for the same period of the previous year. This translates into a reported growth of 20% and an organic growth of 15%. 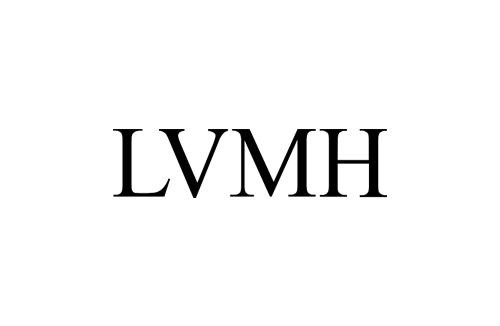 LVMH’s Wines & Spirits business group recorded a revenue of €1,349 million in Q1 2019 as againt €1,195 million earned in Q1 2018; thus recording a reported growth of 13% and an organic growth of 9%. The Perfumes & Cosmetics business took in a revenue of €1,687 million in the period as compared to a revenue of € 1,500 million for the same period of the previous year; thus realising an increase of 12% and an organic growth of 9% in the first quarter of 2019. Selective Retailing was the second largest segment after the Fashion & Leather Goods business for LVMH. The division reported a revenue of €3,510 million for Q1 2019 as against a revenue of €3,104 million for Q1 2018. This represents a reported increase of 13% and an organic growth of 8%.